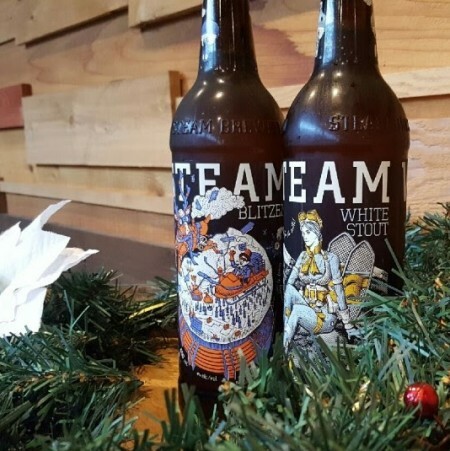 BURNABY, BC – Steamworks Brewery has announced the return of two popular winter seasonals. This confusing beer pours golden in colour but has the full bodied coffee and chocolate flavours of a stout. This juxtaposition is achieved by ageing the beer with cacao beans from East Van Roasters and coffee beans from Hastings-Sunrise’s Pallet Coffee Roasters. Confusion aside, the coffee and chocolate combined with the lighter body make for an extremely quaffable beer perfect for beer lovers of all styles. Both beers are available now at the Steamworks retail store and taproom in Burnaby, Steamworks brewpub in Vancouver, and select liquor stores and bars in British Columbia.